Stay at Days Inn and Suites Orlando Airport hotel, conveniently located on Highway 482. This location near Orlando International Airport offers complimentary airport shuttle service. Top attractions include Sea World, Walt Disney World, and Orlando Studios. 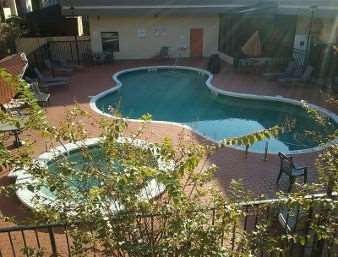 Amenities include complimentary breakfast, gym, pool, hot tub, complimentary wireless internet, and rooms with microwave and refrigerator. Complimentary parking, guest laundry, and a business center are also provided.